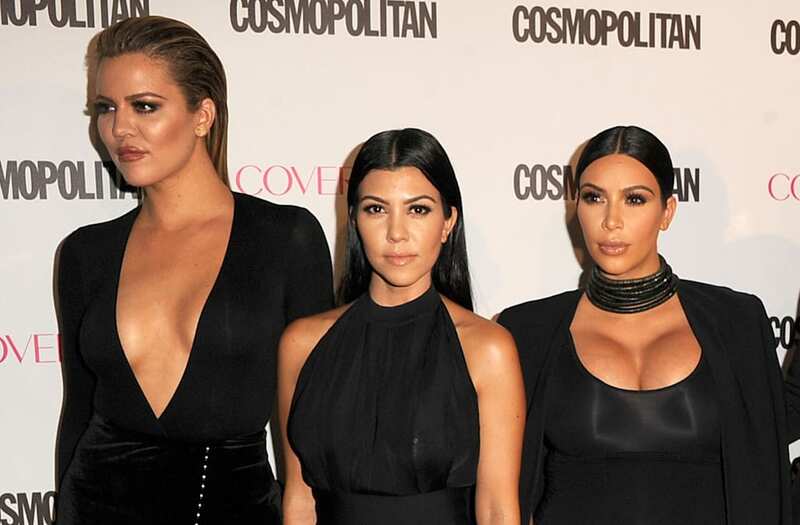 While the all-out feud between sisters on the season 15 premiere of Keeping Up With the Kardashians was filmed months ago, it seems tensions haven't really dissipated between the reality star siblings. During Sunday's premiere, as the Kardashian sisters watched and live-tweeted the show while it aired, they began to pick at one another, reigniting their anger and frustrations. While Kim Kardashian made snide comments throughout the episode, it seemed tempers flared when Kourtney Kardashian tweeted, "We all have our own priorities. Mine is being a mother. #KUWTK." Kim quickly shot back, Tweeting, "And mine is not? The shoot was with our kids!!!!! My #1 priority is being a mother as well and I can work too, so can you!" Kourtney defended her own remarks, explaining, "And i do. But i wasn’t wanting MORE work, i already felt spread thin." "Being a good mother also has different meaning to each of us," she added. "You’re an amazing mother, I’m not taking that away from you." The comments came in response to a blow-up fight between Kim and Kourtney during the episode, where Kourtney refused to cooperate with her younger sister's plans to schedule the family's annual Christmas card photo shoot, a frustrated Kim lashed out, cussing at her sister and insulting her for not running her own company. "Maybe if you had a business that you were passionate about then you would know what it takes to run a f**king business! But you don’t, so don’t even act like you know what I’m talking about!" Kim screamed at her sister. During the episode, sister Khloe Kardashian mainly played a neutral role. She agreed with Kim's points about Kourtney's perceived stubbornness, but didn't dig into her older sister with the same fervor. On Sunday, Khloe joked about her position, Tweeting, "I just wanted peace," to which Kourtney shot back, "Khloe let’s be honest here." "Hey @kourtneykardash are you watching the same episode I am??? Do you think I was picking on you? I was genuinely concerned about your happiness," Khloe angrily shot back. "Stop looping me into your drama with Kim! Don’t ever tweet me that s**t again! #KUWTK"
However, despite their fighting, Kim indicated that their sister-bond is still intact. The reality star cleared the air tweeting, "Dont ever get it twisted, me, Kourtney and Khloe are GOOD! ALWAYS!!!! Never question that!" While things look to be peaceful for the moment, the sneak peek at next week's episode looks like there's still a lot of drama (and crying Kourtney moments) to come this season.